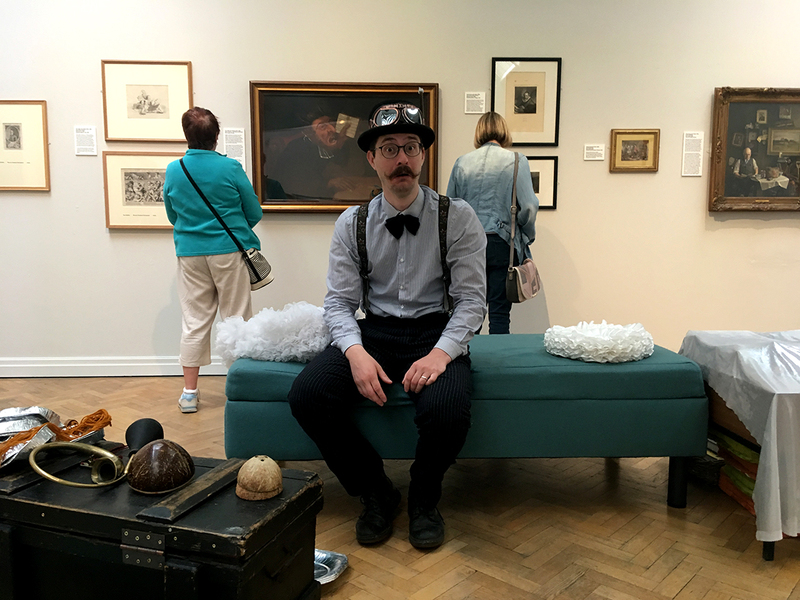 Celebrating our new season of exhibitions at Touchstones Rochdale we hosted an eclectic array of events from workshops to performances for all the family. Our Wakes Day celebration was just a taste of what was formerly celebrated in Lancashire industrial towns as Wakes Week; where each town would shut down to congregate in festival and celebration annually. Historically this was a period where the industrial mills would be serviced once a year. Although a strong tradition during the 19th and 20th centuries, the observance of the holiday has almost disappeared in recent times due to the decline of the manufacturing industries in the United Kingdom and the standardisation of school holidays across England. Our current exhibitions relate to craft techniques, literature, folk culture and radical politics that have shaped the world. 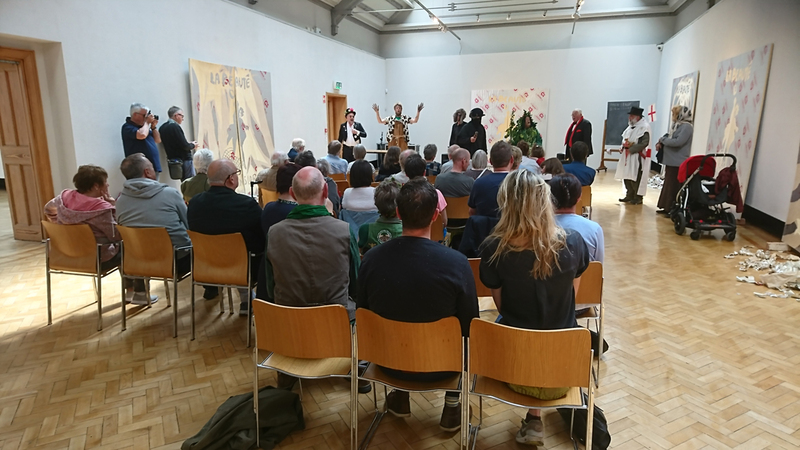 We brought together morris dancing, clog dancing, spoon enameling, storytelling, collage, a heritage walk and traditional Lancashire Fayre in and out of the building for a jam packed day of creativity, history and entertainment. We welcomed over 350 visitors throughout the day offering events for all the family to engage with arts and heritage. Folk related events in Gallery Four. Courtesy of Touchstones Rochdale. 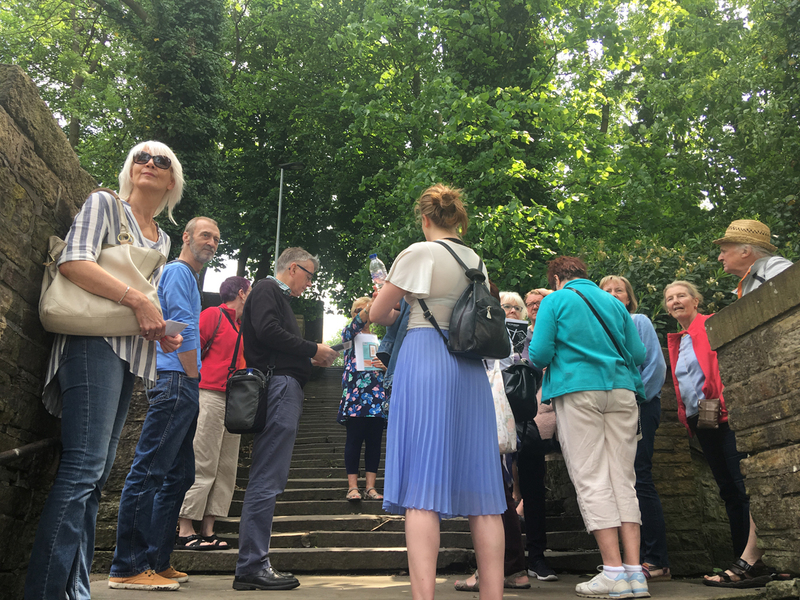 Pam Ashton taking visitors on a Heritage Trail through Rochdale Town Centre. Courtesy of Touchstones Rochdale. 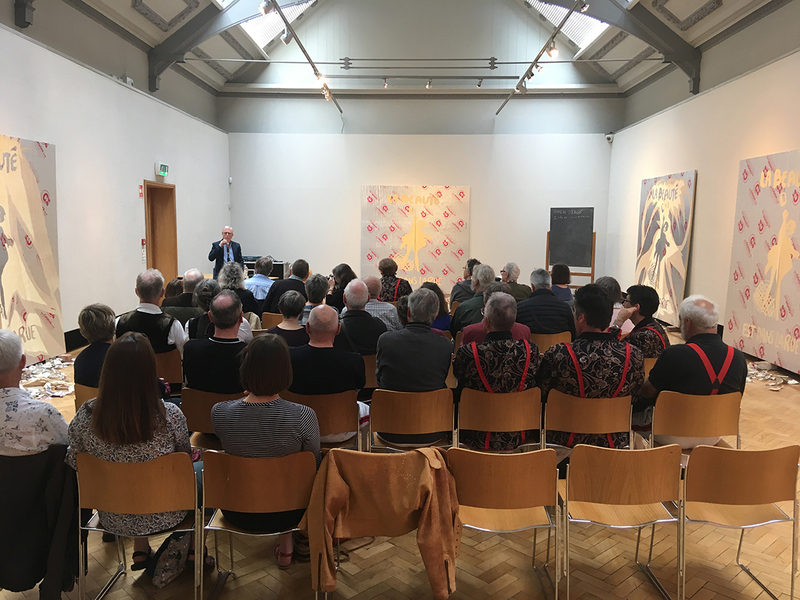 Come and see our current season of exhibitions at Touchstones Rochdale, open until 30 June 2018.